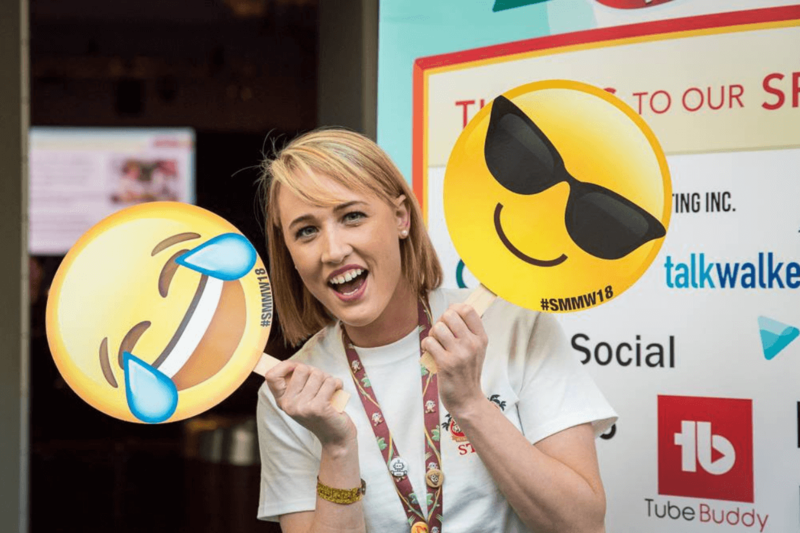 Looking to volunteer at the Social Media Marketing World Conference? Our 2019 team of volunteers is full and they are well on their way to an amazing time in San Diego at SMMW19. If you would like to be a part of the action next year, please let us know by filling out the Interest Form here. We will reach out to you in the Fall to give you more detail about the 2020 conference volunteer opportunities. If your primary goal is to attend the event, we strongly encourage you to take advantage of current discounted prices. You can always resell your ticket later or if we choose you as a volunteer, we can refund your ticket. Go here to purchase your ticket. All-Access Volunteer: For your service of 15 to 20 hours on Wednesday, March 20 through Friday, March 22, 2019, you will be gifted all the benefits of Social Media Marketing World, including access to ALL of our keynotes*, sessions*, the live stage*, and workshops* (an extra day of content). You also will receive session recordings and access to our amazing networking parties*. Marketer Volunteer: For your service of 8 to 10 hours on Wednesday, March 20 AND Thursday, March 21, 2019, you will be gifted access to keynotes*, all sessions*, and our live stage*. It does NOT include workshops, session recordings, or access to networking parties. Marketer Volunteers will not have any shifts on Friday, March 22, 2019. *Once shift is complete or as duties allow. In many cases, you will still be able to attend some (or even all) of the sessions you desire. We try to accommodate your preferences, but your volunteer duties do come first. *Once shift is complete or as duties allow. If you are selected as a volunteer, there are a few basic commitments we require. If you are unable to meet these requirements, we suggest you purchase a ticket and enjoy the event as an attendee. Comfort with high public visibility. Outgoing personalities are a plus. Personal awareness and emotional maturity. Availability: Tuesday, March 19 1pm (9am for SMMW Leaders) until Friday, March 22 at 6pm (or Thursday, March 21 at 9pm for Marketer Volunteers). Read and Agree to Social Media Examiner’s Volunteer Agreement. Attend one of the pre-event online Staff Webinars, scheduled for February 26th at 10am PT or February 28th at 12pm PT. Attend staff training and kick-off on Tuesday, March 19 from 1pm to 6pm (9am for Volunteer Leaders) at the San Diego Convention Center. You can expect to serve 15-20 hours (not including the training day for All-Access Volunteers) or 8-10 hours (split between Wednesday and Thursday, not including the training day) during the event. In many cases, you will still be able to attend some (or even all) of the sessions you desire. We try to accommodate your preferences, but your volunteer duties do come first. Provide feedback following the event through our volunteer survey and/or email. Detailed role descriptions and training will be provided upon acceptance. Welcome attendees to Social Media Marketing World, check-in and hand out name badges, conference bag and other “goodies.” Registration volunteers are highly energetic people who are excited to welcome and engage with attendees as they kick start their SMMW experience. Support session rooms by manning doors, checking badges, distributing handouts, while supporting attendee and speaker needs. Room Host volunteers enjoy working within a team to create a learning environment, strive on details, and will sit in the back of the room during the sessions. The Networking Team volunteers staff the onsite Networking Embassy and help attendees make connections and find resources. Volunteers are expected to familiarize themselves with the event app(s), speakers and sponsors, attend pre-event networking training sessions, as well as, participate in pre-event social media networking groups, including the Networking Team Facebook Group. This is a high energy, outgoing role great for volunteers who love connecting people. Event Concierge volunteers are the smiles, energy and public facing “white shirts” attendees see around the venue and city. Tasks may include: badge checking, human “arrows,” directing guests into and out of the Keynote, line management, food monitoring, VIP services, guest support, cheering squad and more. An Event Concierge may have several different assignments within the course of a day. Please note that the Event Concierge requires extended periods of standing. Hotel Concierge volunteers help welcome guests as they arrive at the official Social Media Marketing World hotels. This is a great role for local volunteers who love making San Diego shine by recommending local attractions and directing guests to the San Diego Convention Center. Each hotel will have a SMMW Hotel Concierge desk within the lobby or other central location. Create a “wow” experience by welcoming attendees to Social Media Marketing World at the airport. Airport greeters are highly energetic people who are excited to welcome and engage with attendees as they kick start their SMMW experience. Our “Can Do” squad are the runners, fillers and overall “make it happen crew” behind the scene. Tasks may include: filling in for no-show volunteers, changing linen, adjusting signs, running water/supplies as requests occur, organizing volunteer room and more. No task is too small or large for this team. This is a great role if you prefer to work behind the scene. Evening Party Concierge volunteers are the smiles, energy and public facing “white shirts” attendees at the evening parties. Tasks may include: badge checking, human “arrows,” directing guests into and out of the venue, line management, VIP services, guest support, cheering squad and more. Please note that the Event Concierge requires extended periods of standing. Being an Event Party Concierge allows you to free up your daytime hours for learning. Give us your ideas! 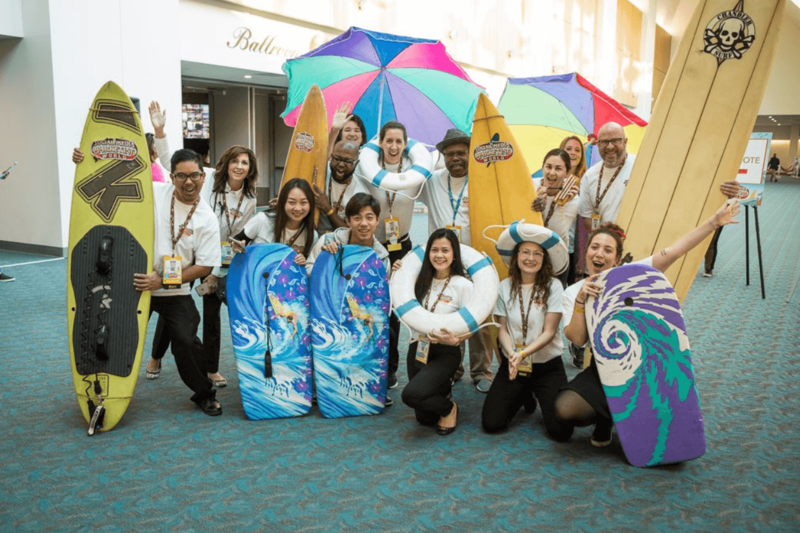 Do you have a talent or special gift that you’d like to share at SMMW19? Let us know. We thank ALL of our volunteers, past, present and future, for their help and enthusiasm in making Social Media Marketing World great experiences for all!